Sound absorption materials are used to minimise reflection of airborne sound by converting sound energy to heat through a frictional process in the absorber. 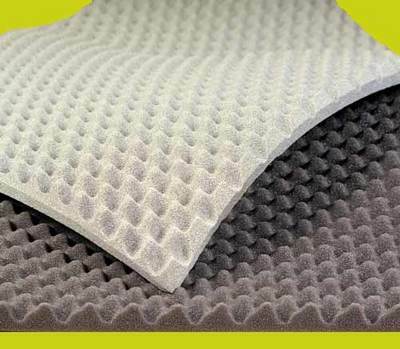 Commonly used sound absorbing materials, such as open celled polymer foams like Acoustic Foam, fibrous layers and slabs of mineral fibre, are porous materials. They can be applied to walls and ceilings to improve their sound absorption properties by minimising sound reflection and thus minimising the amount of reverberation that occurs in the room. Inside ventilating and air conditioning ducts to minimise acoustic reflection on duct walls, thus reducing sound levels inside the duct. In the cavities of lightweight metal or timber framed partitions to minimise the build up of reverberant sound caused by sound reflections inside the cavity. In the housing of engine compartments or rooms to reduce acoustic reverberation within. Sound insulation materials are used to minimise the transmission of airborne sound, e.g. from one room to another via a sound insulating wall. Good sound insulating materials are dense heavy materials such as Mustwall soundproofing for walls and ceilings, masonry (brickwork, concrete) and sheet metal. All such materials have a high mass per unit area. 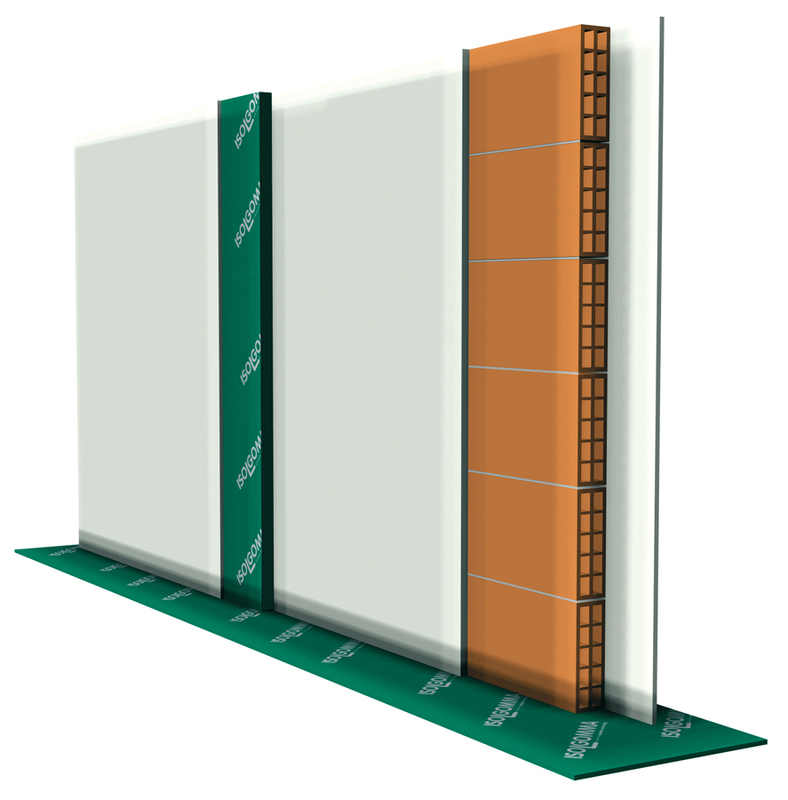 Sound insulating materials are also used as noise screens or barriers, e.g. alongside roads, as partitions, walls, floors and ceilings to minimise sound transmission between rooms, and as enclosures around noisy machines. Although slabs of mineral fibre are very good sound absorbers, they are lightweight materials and therefore poor at preventing transmission of sound, i.e. they are poor sound insulators. Conversely although masonry walls and sheet metal panels are good sound insulators because they are dense and heavy, they have hard sound reflecting surfaces and so are poor absorbers of sound (unless of course they are faced by a layer of sound absorbing material).